This past weekend Ledbury held the first of its Winter Series races and also the first round to count towards the joint Ledbury/Brookthorpe inter club series. The event was well attended. A mixture of 43 nitro, ebuggy and truggy drivers turned up on an initially foggy Sunday morning. Thankfully, the fog lifted giving the track blue skies and sunshine for the majority of the day. 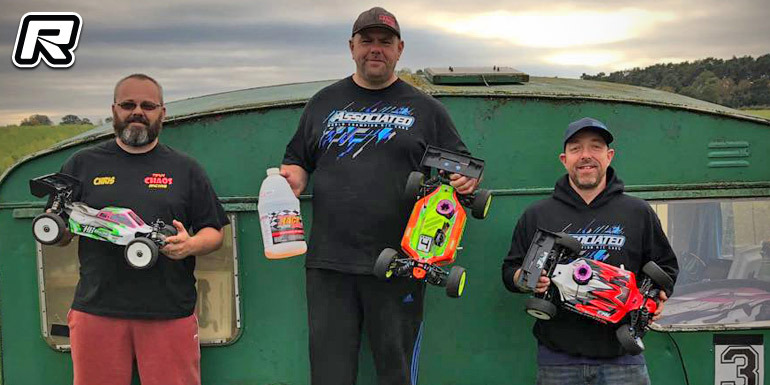 Team Associated driver Jon Howells took TQ, having taken three from four rounds. Tekno driver Jake Knight would line up 2nd with CML driver Lloyd Pitt 3rd. On to the main event, Lloyd Pitt had a great start to take the lead, and maintained that for the first part of the race. Jon Howells then regained control to pull away from Lloyd. Back in third and fourth Jake Knight and Chris Lovell were having a good battle until Jake was taken out by back markers allowing Chris to chase down second. He managed to catch and pass Lloyd with only a couple of laps remaining, so Jon took the win, Chris was 2nd and Lloyd 3rd.